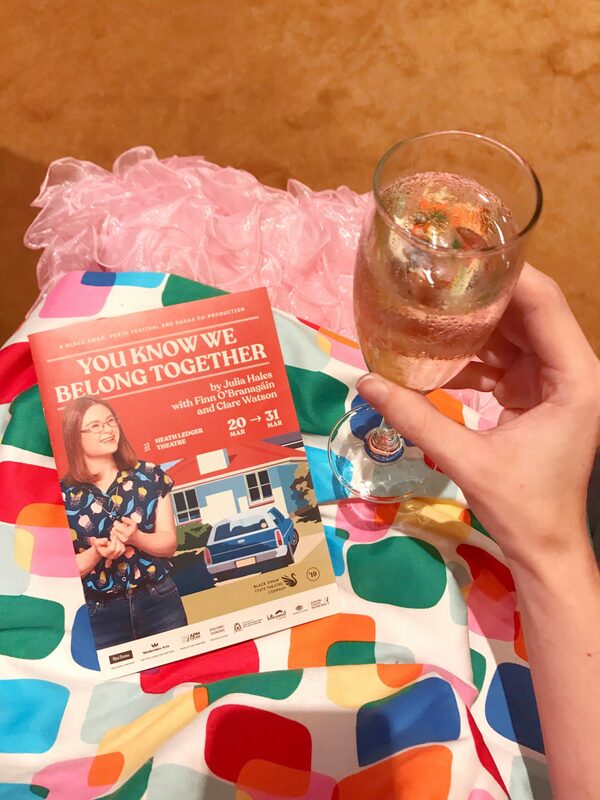 Last Thursday night, I was fortunate to be invited (along with my partner Alex) by Black Swan Theatre Company to the opening night of ‘You Know We Belong Together’, a performance by Julia Hales with Finn O’Branagáin and Clare Watson. I always love going to the theatre, so was elated at the thought of checking out a new local production! 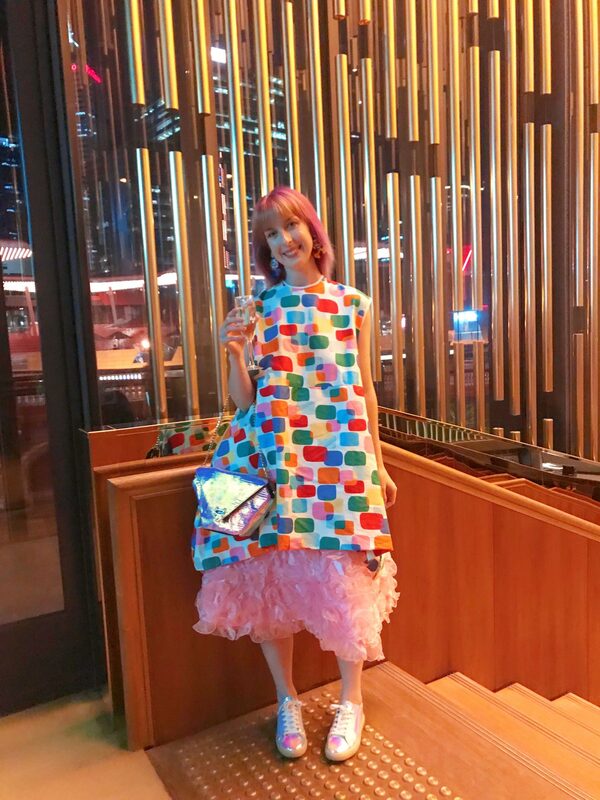 I layered myself in fabulous colour and texture (I felt like a puffy Harajuku-inspired wedding cake… A vibe! 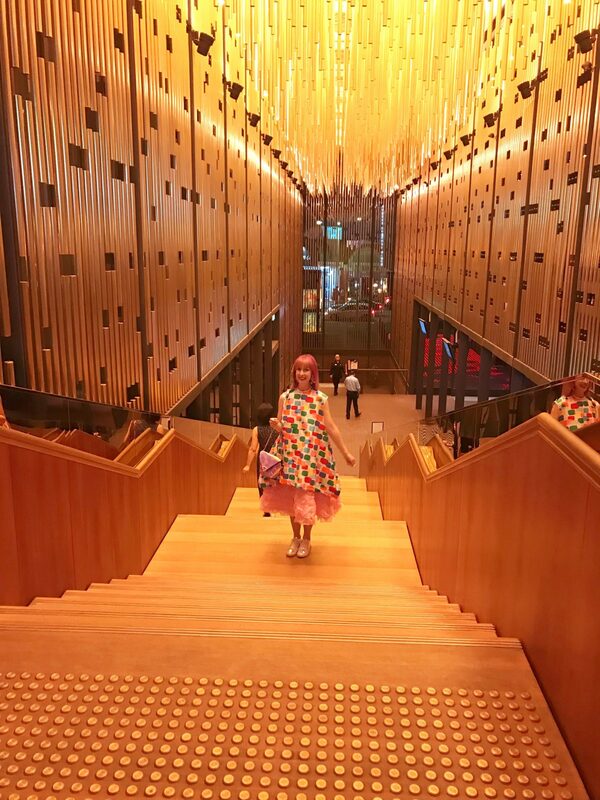 ), and we headed into the Perth CBD to the beautiful Heath Ledger Theatre. An animated, illuminated walkway moving into a grand entrance hall and staircase causes any arrival to feel like a grand procession, the perfect precursor to a show! 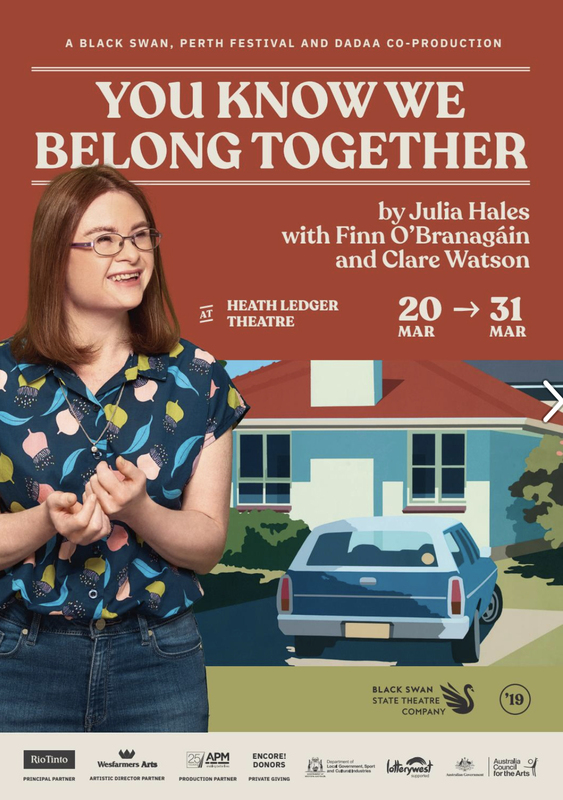 ‘You Know We Belong Together’ centres on the personal story of Julia Hales, an inspiring accomplished performer, and her experiences as a daughter, dreamer, and person with Down syndrome. The performance follows a journey through her world, with stories of life, love, and Home and Away (her favourite TV show)! A cast of friends and family are also interwoven into the narrative, each with their own unique story to tell that will tug at your heartstrings and elicit a gaggle of giggles… If you like a show that makes you ‘feel’, this is definitely the performance for you. Feeling so light and bubbly pre-show, I was admittedly not prepared for the performance to come. 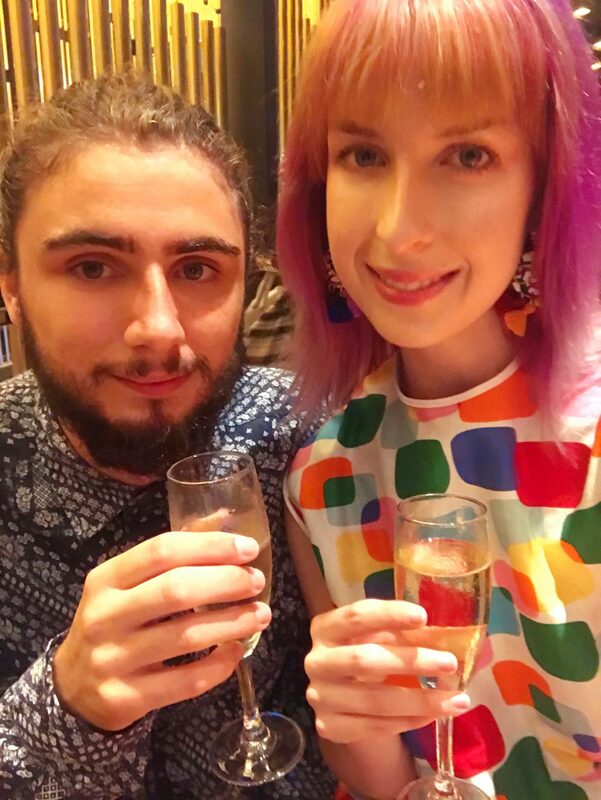 What followed was a production that moved me to tears, saw me roaring with laughter, and made me cuddle Alex’s arm a little bit tighter as feelings of love welled within me. 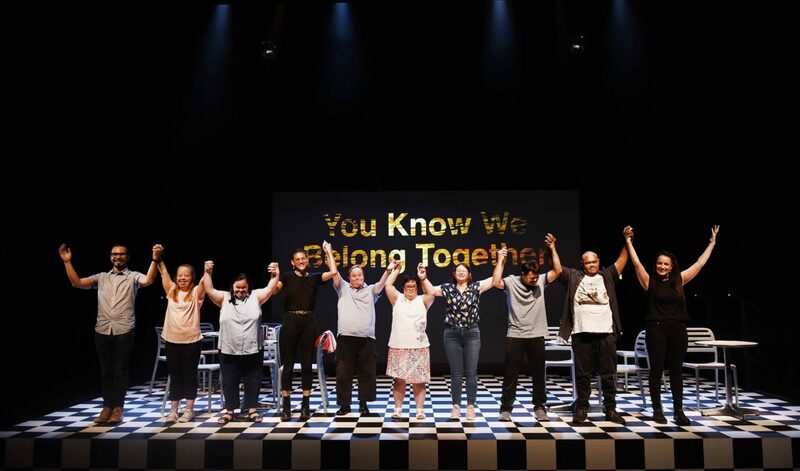 Emotional highs, lows, and compelling stories abound in ‘You Know We Belong Together’… as you enter the theatre tickets in hand, prepare to feel a spectrum of emotions! One of the things I particularly appreciated about this performance was the insight it gave into life as a person with Down syndrome. I was incredibly moved hearing stories told by Julia’s friends about their different experiences, and saddened to hear some of the judgements they have faced. What stood out most to me from these stories is a message of triumph over peoples preconceived (and most often incorrect) assumptions. It warmed my heart to hear how these individuals have overcome the labels placed on them by others to live their lives how they desire to. I think we can all learn something from this, and not be so quick to judge what others are and are not capable of… We should all be able to live our lives in a way we choose to, and be free to experience love and happiness. Tickets and additional information can be found HERE.